Authorities found writings during a lawful search that included his “like for killing, murder, Russia and making children cry,” the affidavit says. An 18-year-old faces a charge of terroristic threat after authorities found writings in his backpack and locker that “were disturbing and created a fear that he was capable of violence,” according to an arrest affidavit. 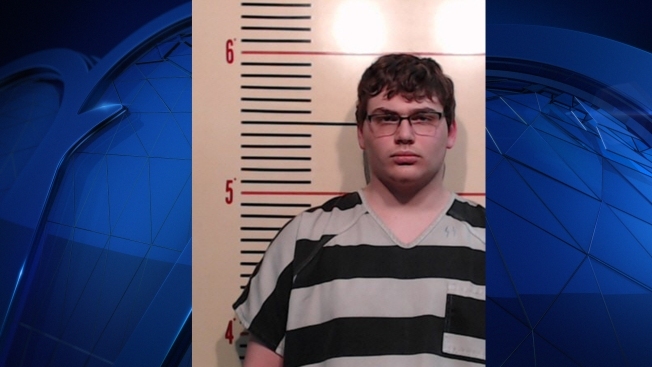 Ryan Callaway of Springtown was arrested Thursday after being suspended from Springtown High School. He is being held at the Parker County Jail in lieu of a $2,000 bond. The FBI was notified of the incident, police said. Police say it started Feb. 20 when a Springtown police school resource officer and school administration were told by students that Callaway’s behavior was alarming and created a fear of imminent violence, particularly with the recent school shooting in Parkland, Florida, according to an arrest affidavit. Callaway told students that he kept a “hit” list or “rage” list of students who he felt wronged him or angered him, the affidavit says. He told students his New Year’s resolution was to “drink more and kill less,” the affidavit says. He also told students he wanted to bring weapons to school. School administrators and the school marshal confronted Callaway about the existence of a “hit list” and he confirmed that it existed. Callaway refused to give them the list and was suspended from school. Springtown police served an arrest warrant for terroristic threat on Thursday and Callaway was arrested without incident.